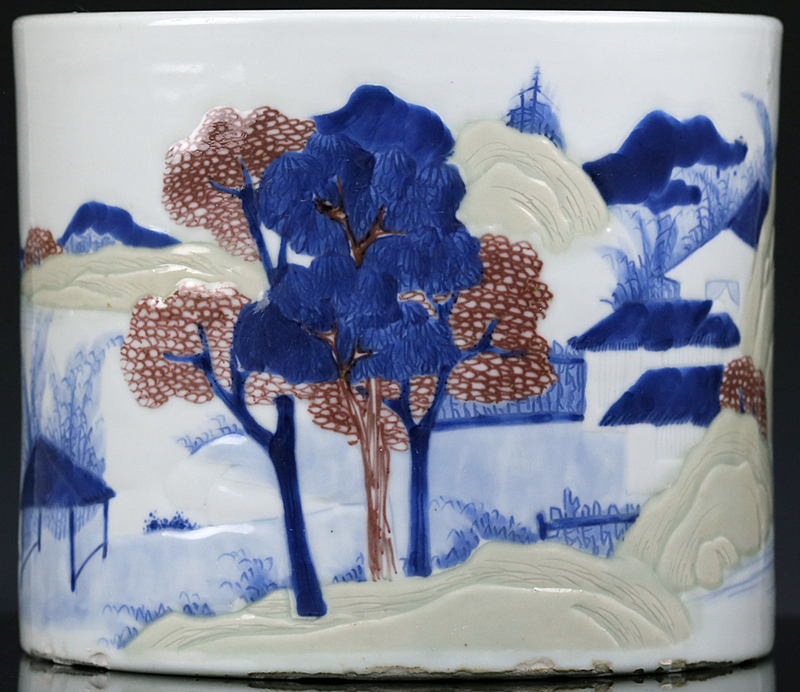 A classic Kangxi period brush pot (bitong), decorated with an elegant panoramic landscape of houses and trees tucked amidst mountains, banking a river occupied by a single fisherman. 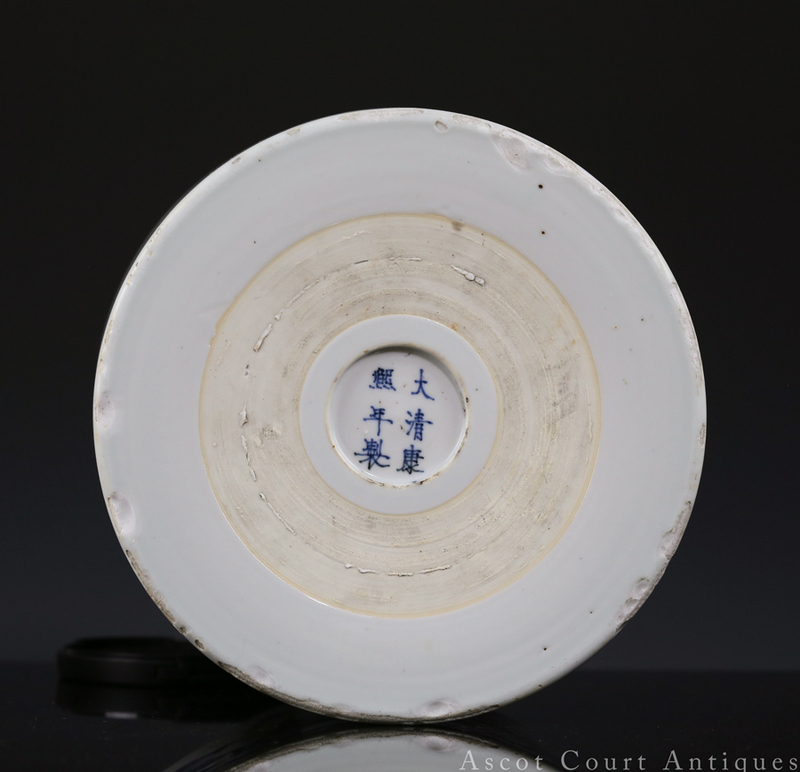 The base features a concentric ring of unglazed paste, with the concave center marked with a six-character Kangxi kaishu mark. 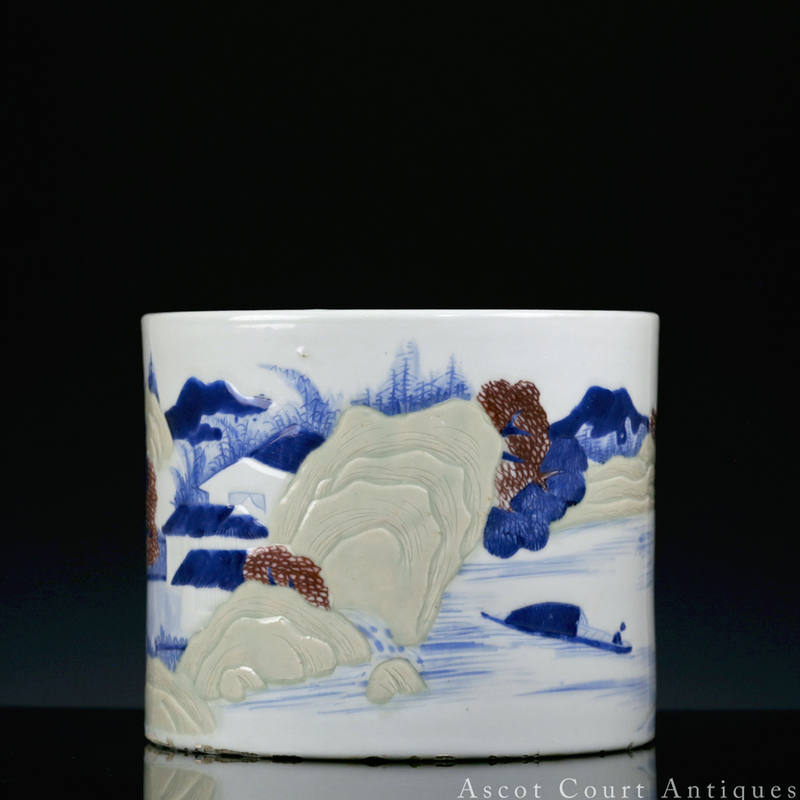 Kangxi period porcelain in the blue and white, copper red, and celadon palette is sometimes described as “underglaze sancai” to distinguish it from regular sancai and famille verte porcelain decorated with low-fired overglaze enamels. 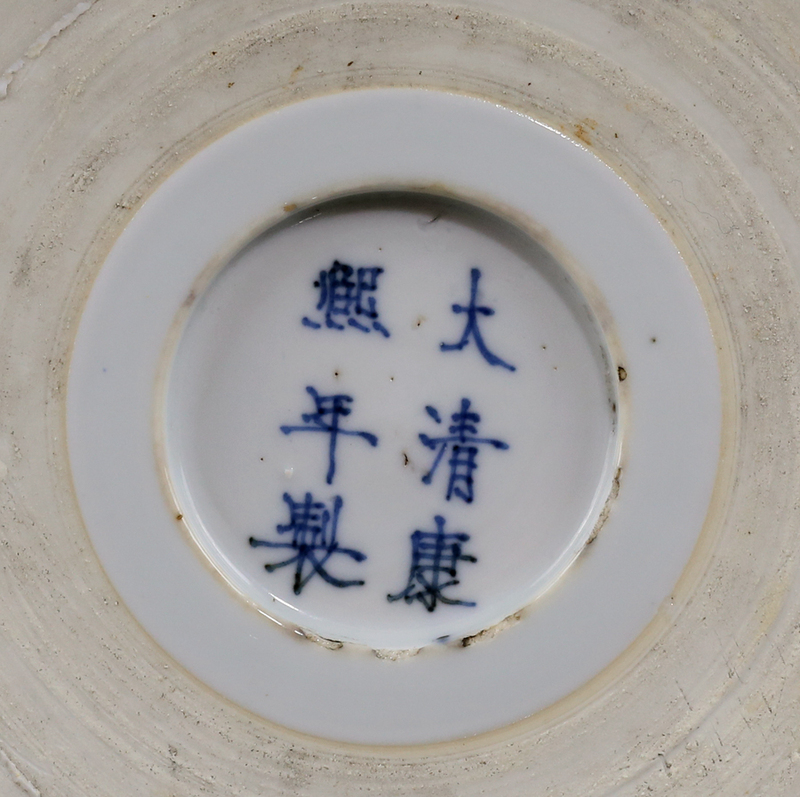 This type of “underglaze sancai” is an artistic innovation and technical breakthrough unique to the Kangxi period; these pieces were not made prior to nor after the few decades bookending 1700. 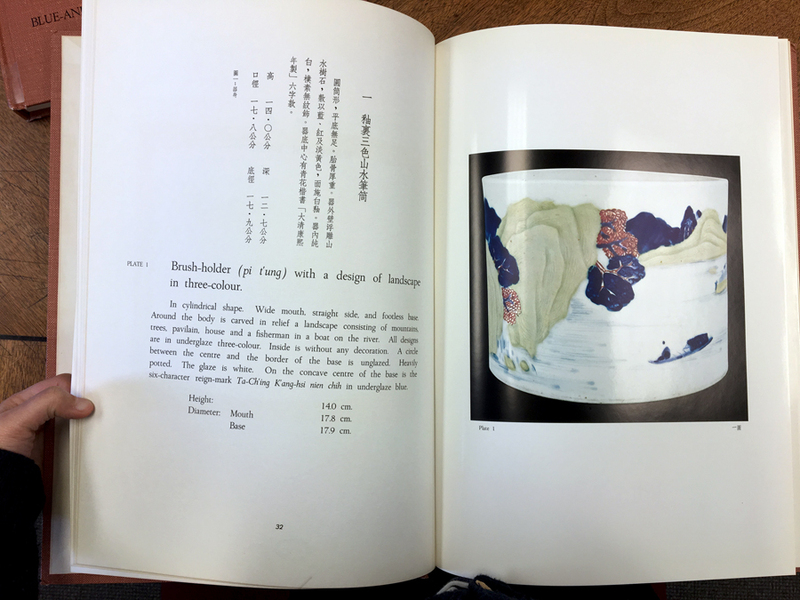 The rarity of this design palette can be attributed to the difficulty of production. 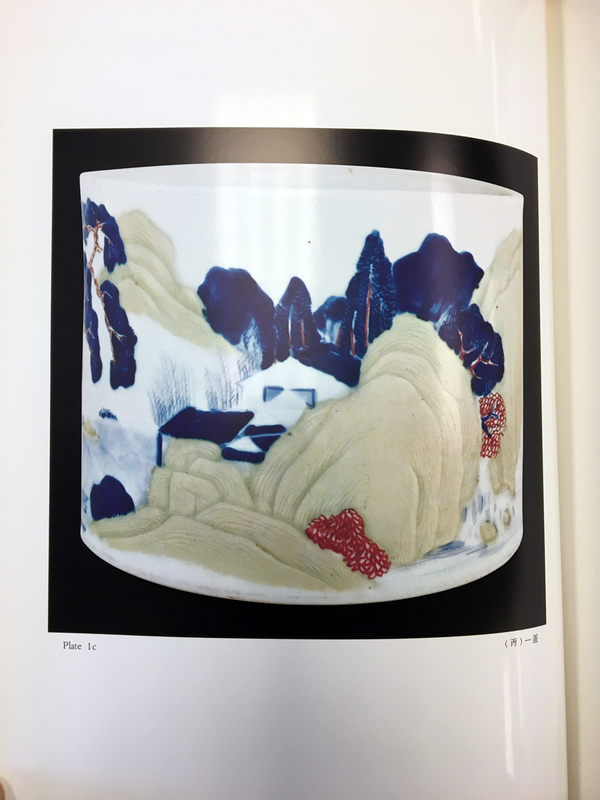 First, the intended design must be carved and incised onto the porcelain body itself, to help separate the colors into distinct “zones” and to prevent the materials from bleeding or mixing during firing. As a practical necessity, any areas decorated in celadon had to be carved in three-dimensional relief, for the reason that the celadon glaze is opaque and would obscure two-dimensional designs. Finally, the fully painted product in cobalt, copper red, and celadon had to be fired in an extremely well-controlled high-temperature environment, for any variations in kiln conditions could result in misfired dull colors in the finished product. 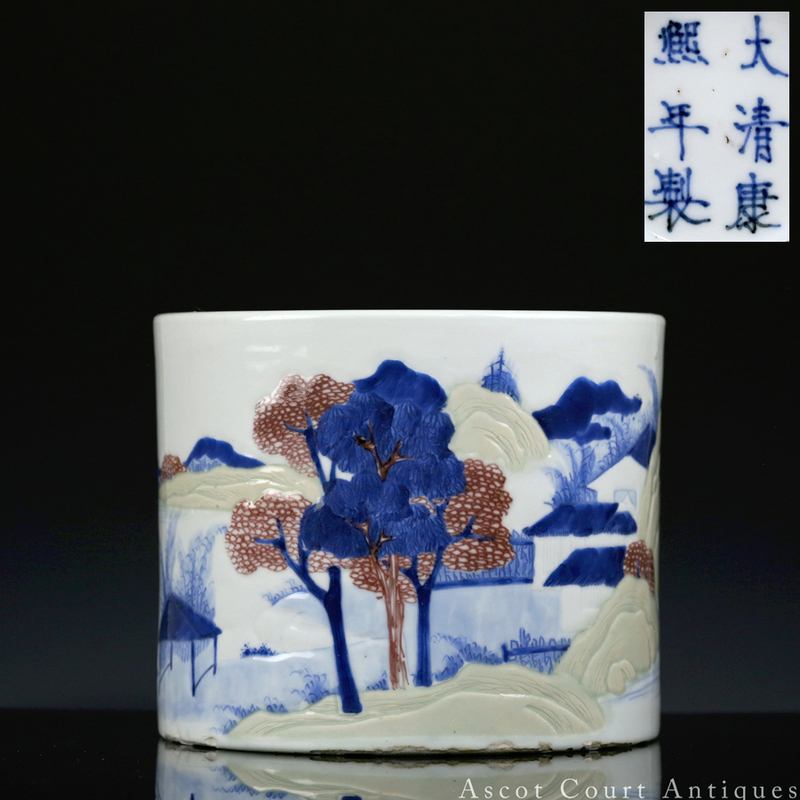 It is for this reason that almost all Jingdezhen polychrome porcelain were created with low-fired, overglaze decorations. 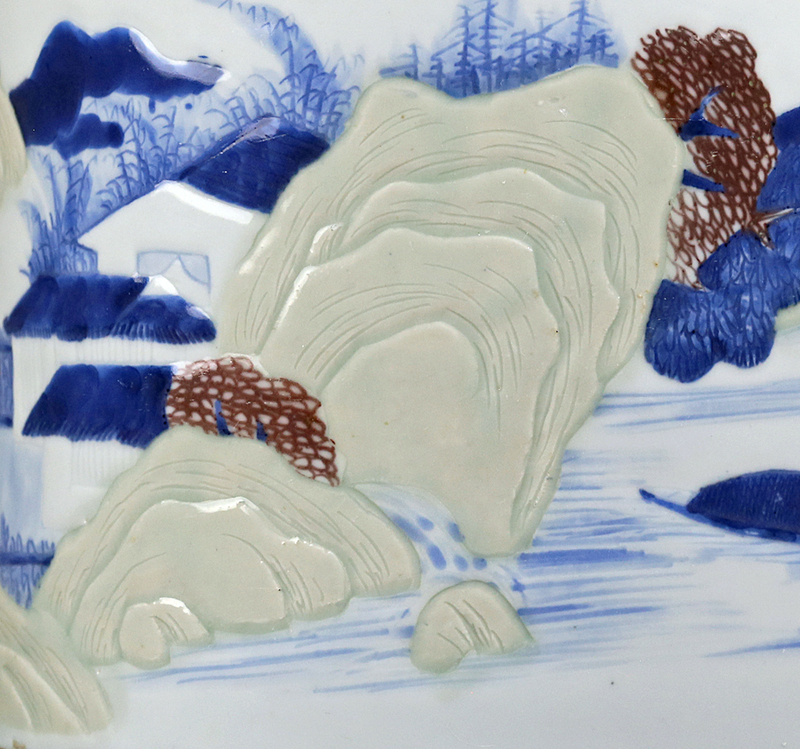 The “underglaze sancai” stands as a unique foray into the risky, untried world of underglaze high-fired polychrome decoration. A similar brushpot is in the collection of the National Museum of China. 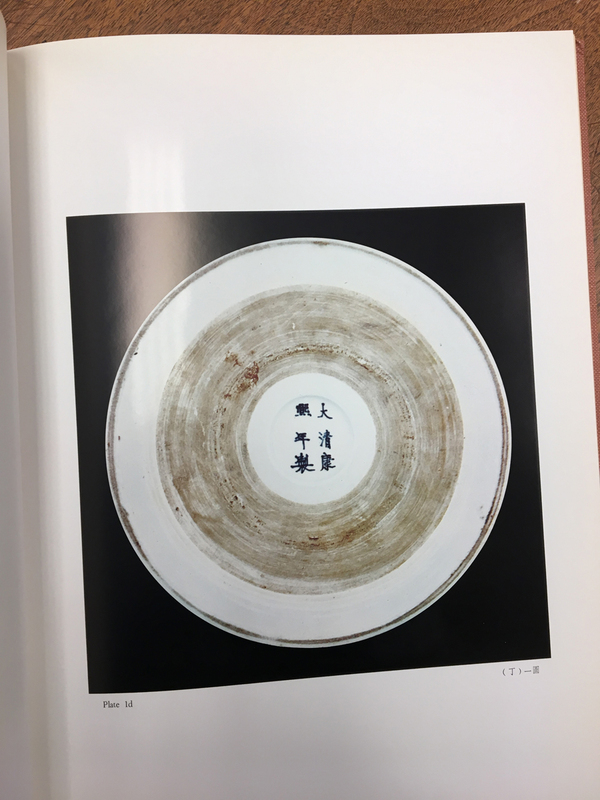 Another brushpot in the Taipei Palace Museum, is illustrated on page 32, Volume 11 of “Gugong Cangci (Porcelain of the National Palace Museum)” (Hong Kong, 1967).